Birthplace : Steubenville, Ohio, U.S.
Edwin McMasters Stanton American lawyer, was a member of both James Buchanan's and Abraham Lincoln's Cabinets. Edwin M. Stanton was born in Steubenville, Ohio, on Dec. 19, 1814. He attended a private school and a Latin academy, but on his father's death in 1827 he was forced to accept a job in a local bookstore. After working there for 3 years he borrowed enough money from his mother's lawyer to enter Kenyon College in Gambier, Ohio. At the beginning of his second year, family finances became so strained that he had to return to his old employer. However, Stanton wanted to study and did so in a law office in Steubenville. In 1835 he passed his bar examination. Later that year he became a partner in a law office in Cadiz, Ohio. His reputation as a capable lawyer was soon established, and he was now able to take care of his own family and to marry Mary Lamson. He moved back to Steubenville, where he formed a partnership. Stanton had meanwhile been dabbling in local politics, and in 1837 he was elected county prosecuting attorney on the Democratic ticket. In 1842 he was appointed reporter of the Ohio Supreme Court and was gaining a reputation as a hardfisted, ingenious lawyer. A move to Pittsburgh in 1847 opened the way for Stanton to become connected with cases in which large sums of money were involved and to which national attention was attracted. He was important in the famous McCormick patent infringement case and, especially, the revelation of frauds in California land grants. He was soon well known and was in 1860 named U.S. attorney general in President James Buchanan's Cabinet. Stanton became secretary of war in President Lincoln's Cabinet in 1862. He reorganized the War Department and did a creditable job of meeting army needs. Yet his blunt and high-handed manner made enemies, and he played no little part in the divided character of Lincoln's Cabinet. After Lincoln's assassination, Stanton went on to serve President Andrew Johnson, but he supported the Radical element in Congress against both the President and the Supreme Court. When Johnson asked for Stanton's resignation, Stanton refused; Johnson suspended him and ordered Ulysses S. Grant to take over the department. Five months later, with the Radicals in control of Congress, the Senate voided Johnson's suspension and ordered Stanton to return to his department. In response Stanton remained day and night in his office while President Johnson's appointee was refused control. Not until Johnson's impeachment trail did Stanton resign. Broken in health and in dire financial straits, he died in Washington on Dec. 24, 1869, just a few days after Grant, now president, named him to the Supreme Court. 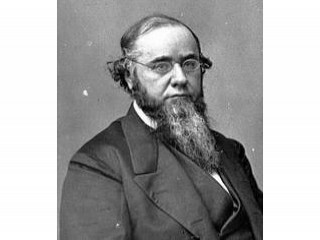 View the full website biography of Edwin M. Stanton.